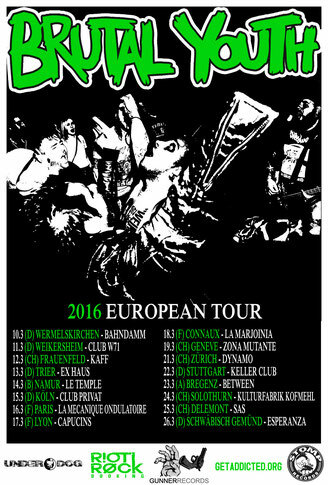 BRUTAL YOUTH aus Neufundland, Kanada, treten mit ihrem hibbeligen, rohen-schnellen Punkrock die zweite Europatour an und bringen auch ein neues Album mit (VÖ Frühling 2016 - STOMP RECORDS). Brutal Youth is a four-piece, raw as ever, power filled ensemble. 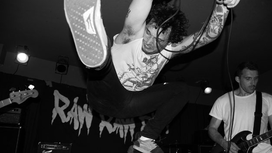 Once hailing from the waves of Newfoundland, Canada, they’ve surrendered their East Coast hospitality for the punk rock ferociousness of Southern Ontario.